Because of her combined interests in the tendencies of people who smoke cigarettes and mental health, Alexandra Halberstadt’s project will involve her gathering personality dimensions to investigate the relationship between personality and nicotine addiction. 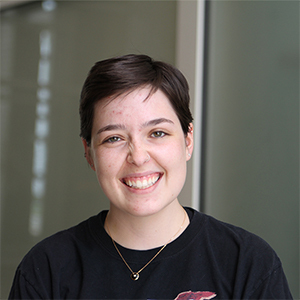 For the past two years, Halberstadt has worked in Assistant Professor of Psychology Kasey Creswell’s Behavioral Health Research Lab, specifically with coding syntax and entering data in SPSS, a software platform created by IBM that provides advanced statistical analysis. Halberstadt has participated in lab meetings that discuss addiction research, measurement and methodology. Additionally, working in the lab has given her an understanding of how psychological research is conducted and the types of literature reviews, papers and data analysis that are important in the field.